AllegroMedical.com offers premium quality home daily living aids and at home independent living aids of all kinds. Made by such high quality brands as Uplift Technologies, Maddak, Drive, Safety 1st, Paramount, Dycem, Harris Communications and others, this collection of wholesale home daily living aids, daily living products & at home independent living aids is sure to meet any need. 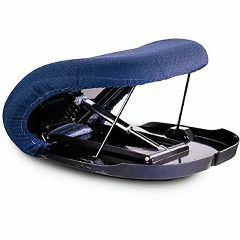 Whether you need big lamp switches, footstools with handrails, seat assists, cabinet locks or any of the other dozens of possibilities, AllegroMedical.com offers only the highest quality daily living aids at the lowest prices guaranteed. See our Best Price Guarantee for more details.